Superb 1:43 diecast from Altaya released for the Italian market. A very rare model and ideal for a "Code 3" project. 1/ Scale Model by ALTAYA. GOOD - The item will have had more use, showing obvious imperfections. EXCELLENT - The item will have had very careful use, with only small imperfections. FAIR - The item will have heavy signs of wear, showing major imperfections. Check out photos (i take as close up as i can). wheels do not turn but model is intended as a display item and not as a toy. can collect from leamington spa. A GREAT RACER IN THE LATE 60's, VERY GOOD REPRODUCTION FROM ALTAYA/IXO. Ixi Altaya 1:43 scale model. Ford Fiesta S2000 #2 Monte Carlo Rally 2010. Colour : Blue/White. Material : Diecast. Scale : 1:43 (average model 1:43 length: 10 cm). Here is your chance to obtain a high quality model at a great price. The model is in perfect condition. The model is 9cm long. NOT FOR CHILDREN UNDER 14 YEARS! 1/43 Scale Die-cast model by Altaya. The model is in perfect condition. The model is 10cm long. 1/43 Scale Diecast Model by Altaya. Scale 1/43. Ending Soon. New Arrivals. The RM Toys Team. Kind Regards. MINT - The item is in perfect condition. Our aim is to ensure no matter what the model, we will provide an excellent service experience. 1/43 Scale Diecast Model by Altaya. Scale 1/43. FAIR - The item will have heavy signs of wear, showing major imperfections. Ending Soon. New Arrivals. The RM Toys Team. Kind Regards. GRADING CONDITIONS. 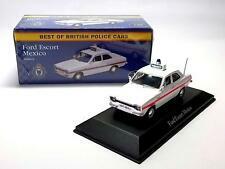 Ixo altaya 1/43 scale diecast Ford Vedette (1950). New in sealed box. POSSIBLE IXO / ALTAYA MODEL. FORD TAUNUS. 17M P2 DE LUXE COUPE. `1:43 SCALE. REST OF WORLD. £ 7.00. UK. £2.95. BUY IT NOW PRICE WAS £12.99. The model is in perfect condition. The model is 9.5cm long. 1/43 Scale Diecast Model by Altaya. Scale 1/43. Ending Soon. New Arrivals. The RM Toys Team. Kind Regards. Our aim is to ensure no matter what the model, we will provide an excellent service experience. 1/43 Scale Diecast Model by Altaya. Material Diecast. Scale 1/43. Ending Soon. New Arrivals. The RM Toys Team. Kind Regards. Our aim is to ensure no matter what the model, we will provide an excellent service experience. All of the attached pictures show what you will receive, for example if included certificate(s), unattached mirror(s), if these are not shown you will not receive them. Poor - The item will be in a very distressed condition, with many faults. Ford Abrielle L'Epi D'Or. Deagostini / Altaya Partwork. Perspex case in good condition. 1/ Scale Model by ALTAYA. FAIR - The item will have heavy signs of wear, showing major imperfections. Ending Soon. New Arrivals. The RM Toys Team. Kind Regards. Our aim is to ensure no matter what the model, we will provide an excellent service experience. 1/43 Scale Diecast Model by Altaya. Material Diecast. Scale 1/43. Ending Soon. New Arrivals. The RM Toys Team. Kind Regards. MINT - The item is in perfect condition. All of the attached pictures show what you will receive, for example if included certificate(s), unattached mirror(s), if these are not shown you will not receive them. Excellent - The item is in perfect condition. The model is in perfect condition. The model is 11cm long. Ford GT40 - White (Blue Stripe), Model Cars, 1/43, Scale, New And Sealed. Ford GT40 - White (Blue Stripe). Scale - 1:43 8cm -10cm this range. Free display case. Age Group - 8- Adult. Jaguar E Type Coupe British Racing Green. Subject to parcel size, and item value. Lamborghini Murcielago - Yellow. 1/ Scale Model by ALTAYA. FAIR - The item will have heavy signs of wear, showing major imperfections. the model is in near mint condition.the box is in excellent condition. - small crack on top of lid. FORD FOCUS RS WRC 2007 RALLY MARCUS GRONHOLM CAR MODEL 1:43. ALTAYA IXO. The model is in perfect condition. The model is 10.5cm long. Brabham Ford BT49C. Nelson Piquet. Ixo Altaya 1:43 scale model. Germany GP 1981. Altaya/IXO Ford Focus RS WRC San Marino Rally 2001. 1:43 scale Diecast Model. New & Boxed. Ford M8 Armoured Car - 2nd Armoured Division Avranches (France) - 1944. Mint and unopened condition with a display stand and clear plastic display case. made with love by. This item would make an excellent addition to your collection and a fantastic display piece. Captain Scarlet. 1/43rd Scale. 1/24th Scale. 1/18th Scale. 1/32nd Scale. 1/76 'OO' Scale. 1/64th Scale. 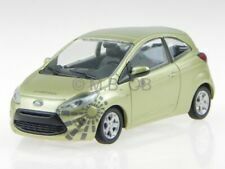 ALTAYA TINTIN COLLECTION - FORD (MISSING WHEEL) YELLOW COLOUR 1:43 SCALE.